Say if i have some music files which are same but have different name , we can detect them . reosarevok, We can check with metabrainz track id if they are same then two files should be same. Ok thanks, I will wait. Till that i think i should look at old request,tickets regarding it. Leftmost, bitmap, reosarevok, Mineo: have you all left the Airbnb? Do we know where the voting points are around the office? 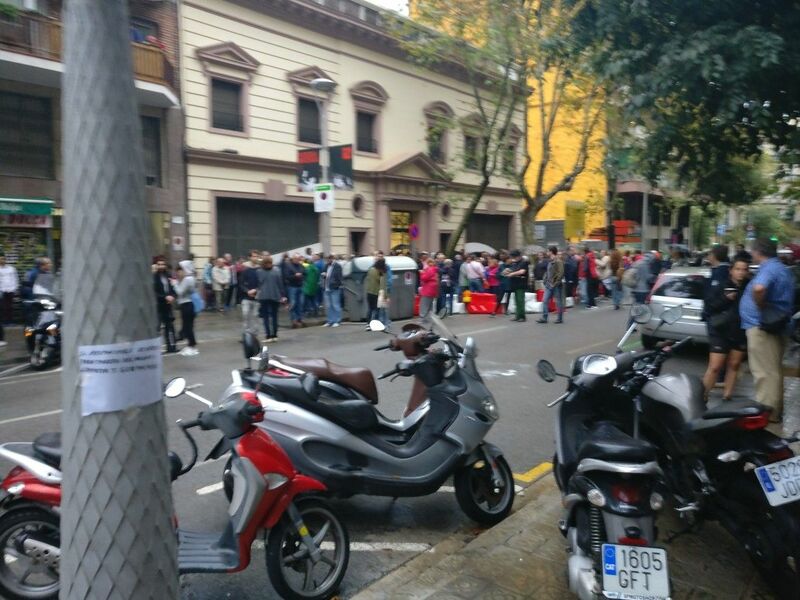 reosarevok is amazed that the best idea the Spanish gvt had was "let's send armoured police against lines of elderly people blocking the poll stations"
So if they just ignore the result it could get worse for them. I definitely do not envy them right now! LordSputnik, I'm still at the Airbnb. after a lengthy battle with the coffee grinder. zas managed to produce coffee for us. looked grim. might be time to finally order a new grinder. odd. I don't recall that piece before. see, computers are scared of me. ok, motivating now. sorry for being late. reosarevok: could somebody let me in please? Yup, actually got inside that building when some guy came out, then thought... "Nope, this is the wrong layout"
How is the bread situation at the office? how is the wikidata bot going, Mineo? do you have a config.py file I can look at yet?